MELBOURNE’S Archbishop-elect Peter Comensoli has vowed to “right the grievous wrongs of the past” and rebuild trust following child abuse scandals that have rocked the Church. Pope Francis announced the appointment of Melbourne’s ninth archbishop on June 29, at the same time accepting the resignation of Archbishop Denis Hart, who is retiring after 17 years. The Bishop of Broken Bay Diocese in New South Wales, Archbishop-elect Comensoli released a video in which he said he was humbled Pope Francis had appointed him Archbishop of Melbourne and recognised “the challenge he has placed before me to lead God’s people in Melbourne tenderly, mercifully and joyfully”. Archbishop-elect Comensoli said he was “deeply aware” of the painful legacy of the child sexual abuse scandal in the Church. “I want to also assure you that we have a common cause to working towards healing and to build our faith communities as communities of trust and safety and care,” he said. Archbishop Comensoli also admitted he did not “know” Melbourne, and would need help picking a football team to follow. “I’m a northerner and I’m afraid I don’t know this marvellous mystery of AFL,” he said. Archbishop-elect Comensoli was ordained a priest for the Diocese of Wollongong and served as auxiliary bishop and apostolic administrator of the Archdiocese of Sydney before being appointed to Broken Bay in December 2014. 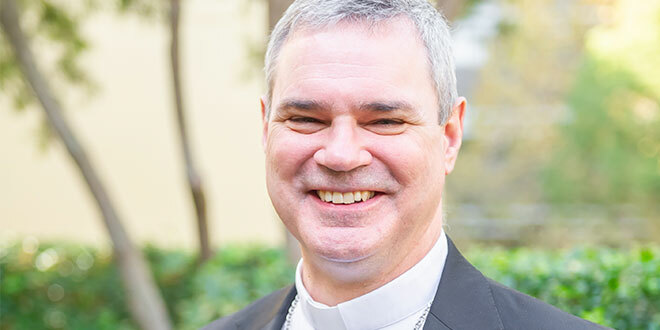 Brisbane Archbishop and Australian Catholic Bishops Conference president Archbishop Mark Coleridge said Archbishop-elect Comensoli had the gifts and energies that his new mission would require. Archbishop-elect Comensoli grew up in the Illawarra region and was educated by the Good Samaritan Sisters and Marist Fathers before studying commerce at the University of Wollongong and working for a time in the banking sector. He entered the seminary in 1986 and was ordained in 1992. After ordination, he undertook postgraduate studies in moral theology in Rome and at the University of St Andrews in Scotland. Archbishop-elect Comensoli’s installation will take place at St Patrick’s Cathedral, Melbourne on August 1. New leader: Fr Charles Gauci. 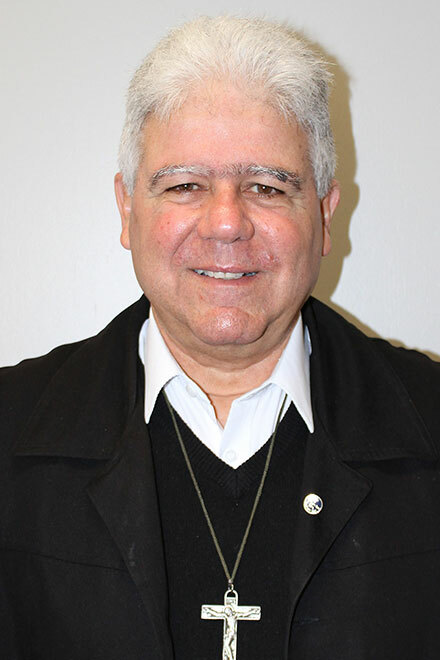 Pope Francis has also appointed a new Darwin bishop – Fr Charles Gauci, the administrator of St Francis Xavier’s Cathedral in Adelaide. Archbishop Coleridge welcomed the appointment of a man who was known for his deep spirituality and real commitment to evangelisation. Fr Gauci was born into a faith-filled family in Malta and arrived in Australia as a 13 year old. He was ordained for Adelaide in 1977 and has served in parishes across the Archdiocese. He has also held a number of archdiocesan leadership roles, including as chairman of the Council of Priests. Fr Gauci said he hopes to visit the Darwin Diocese – which takes in almost all of the Northern Territory – as soon as possible so he can meet the local people and speak with Bishop Eugene Hurley, who has served in Darwin for the past 11 years and as a bishop for almost 20 years. Bishop Hurley will serve as apostolic administrator of the Diocese until Bishop-elect Gauci’s episcopal ordination on a date yet to be announced.